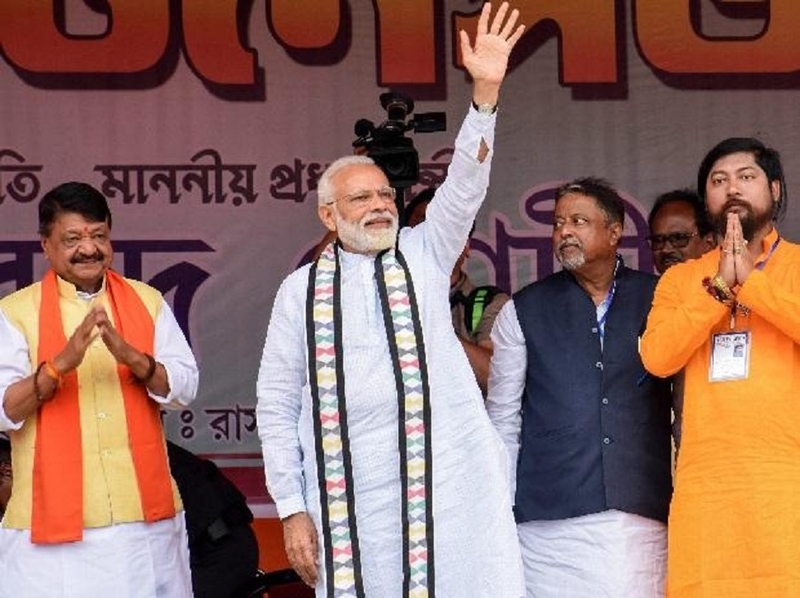 IN A scathing attack on West Bengal Chief Minister Mamata Banerjee, Prime Minister Narendra Modi said Sunday “speed-breaker Didi” has applied brakes on several Central schemes, denying people of the benefits available in other parts of the country. The Prime Minister also alleged that Banerjee has “let loose goons” in West Bengal, dashing the hopes of people. “Didi has maligned Bengal with Saradha, Rose Valley and Narada scams. This chowkidar (Modi) will seek answers for each and every paisa looted,” he said. Modi using Govt machinery to intimidate Opposition: Mamata: TRINAMOOL Congress supremo Mamata Banerjee on Sunday accused Prime Minister Narendra Modi of using Government machinery and institutions to intimidate the Opposition, questioning the removal of Andhra Pradesh Chief Secretary by EC. She wondered why PM Modi is not removing his own Cabinet Secretary or the Union Home Secretary, if he was so “fond of making last-minute changes”. Cong, Left will stoop to any level to oust me: PM: HITTING out at the Congress and the Left Front, Prime Minister Narendra Modi said Sunday the Opposition parties were hell-bent on removing him from power, even if that meant singing paeans to Pakistan.